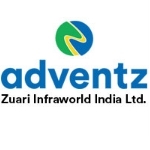 Zuari Infraworld India Limited - An ISO 9001:2015 & OHSAS18001:2007 certified company, a wholly owned subsidiary of Zuari Global Ltd., flagship of the Adventz Group – an Indian Conglomerate created by Late Dr. K.K. Birla, represents the group’s foray into the realty sector. The Company is presently developing Residential development projects in Mysore & Goa with products on offer including high-end luxury villas, high- rise apartments with garden, row houses, luxury villaments etc. In the near future, Zuari Infraworld also plans to launch large scale projects in Delhi and in an international destination – Dubai. With an impressive land bank totaling well over 1000 acres, spread through select urban agglomerates pan India, Zuari Infraworld’ ambitious plans include targeting a spectrum of customer segments, from HNI to economy, with a variety of products. The first such project, now nearing completion is the 'Zuari Garden City', a 73 acre Residential Development project, near the heritage city of Mysore. The project consists of villas, townhouses, apartments & villaments with state-of- the-art facilities like Club house, Swimming pool, Sports zone, Retail outlets and Ample green spaces creating a self-sustaining habitat. The project's landscaped green acres have already won approbation in the form of awards from CREDAI and the Mysore Urban Development Authority.